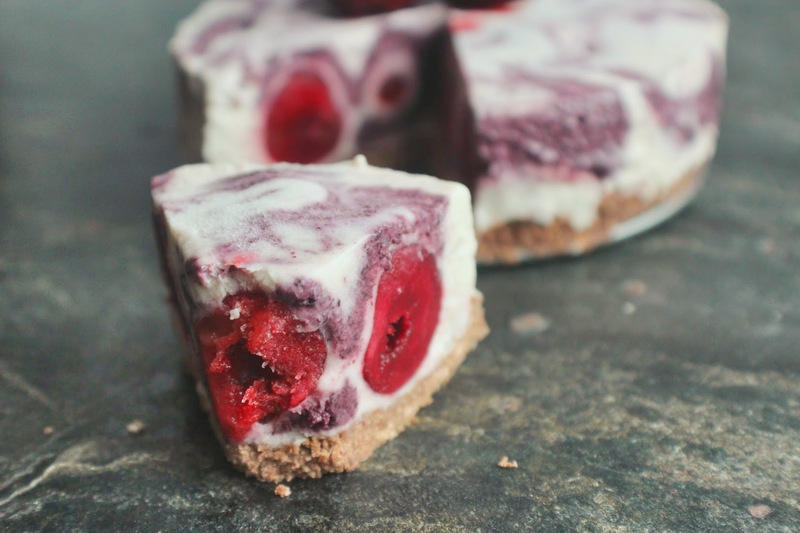 Summer goes hand-in-hand with berries and chilled/frozen desserts. 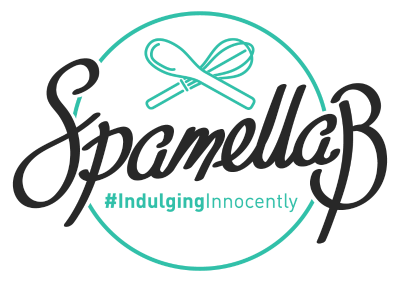 Which is why I thought it was time to post a recipe especially for the warmer weather we’re currently having in the UK (temperatures about 20 degrees – shocking, right?!). So, here’s a very simple but stunning dessert that you can make in advance and serve up when you just need something delicious and sweet to cool you down. You could use other berries like raspberries or strawberries, but plump cherries look gorgeous when you slice through. 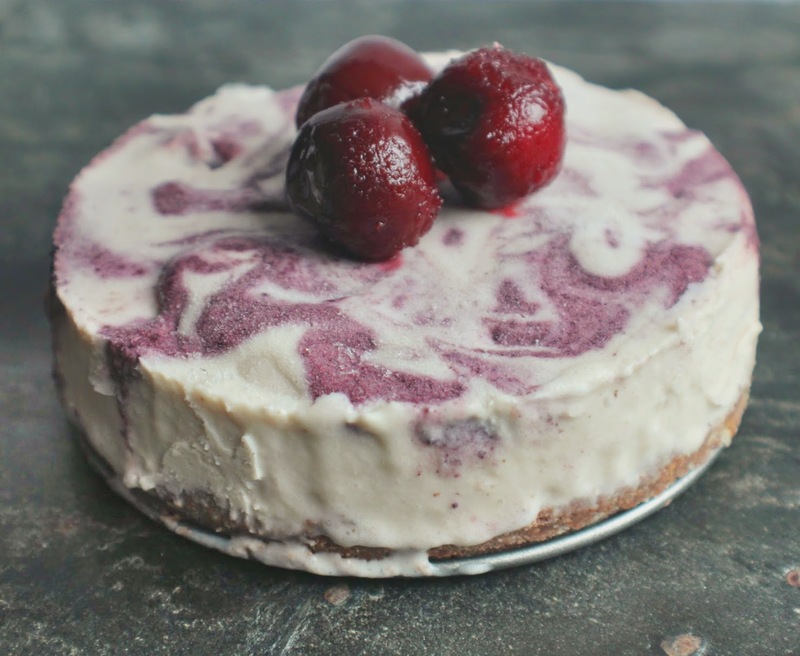 Another bonus: you wouldn’t guess this delectable summer treat is dairy-free, gluten-free (if you use gluten-free oats), contains no refined sugar and is made from healthy ingredients. Place the oats in a blender and whizz up until you have a flour consistency – I use my Ninja Kitchen Auto iQ Nutri Ninja. Place in a bowl and mix in the ground almonds/almond flour and cacao powder. Melt the coconut oil and chosen syrup, remove from the heat and pour into the dry ingredients and mix to combine to a dough. Press into a mini loose-bottomed cake tin to cover the base evenly. Set aside. Simply place the frozen bananas, coconut cream, stevia, melted coconut oil and almond extract in a blender and whizz up until thick and smooth. Divide the mixture in half and mix in the acai powder into one half. You might need to add a little water to thin down a little. 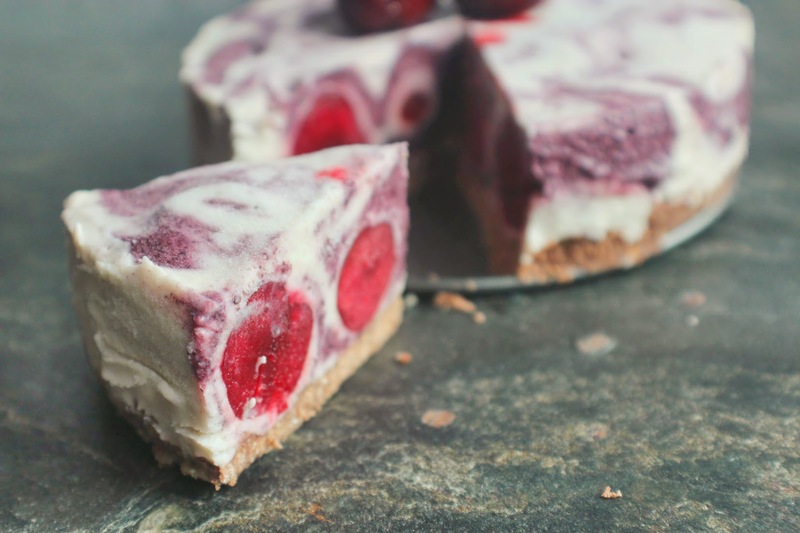 Mix the frozen cherries into the non-acai berry mixture and pour onto the base of the cheesecake. Now drizzle over the acai part and swirl in to create a marble effect. Freeze for at least 4 hours. 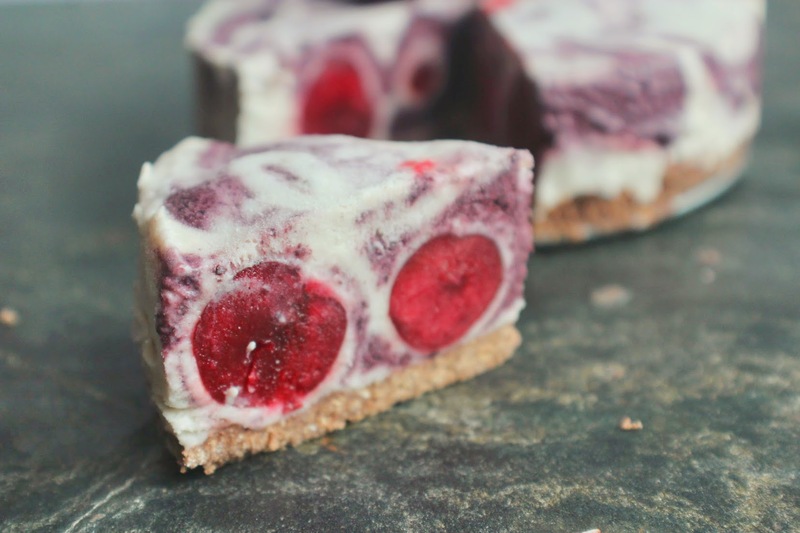 Remove from the freezer 10 minutes before serving and slice up – now enjoy! Store any leftovers in the freezer for up to 1 month.